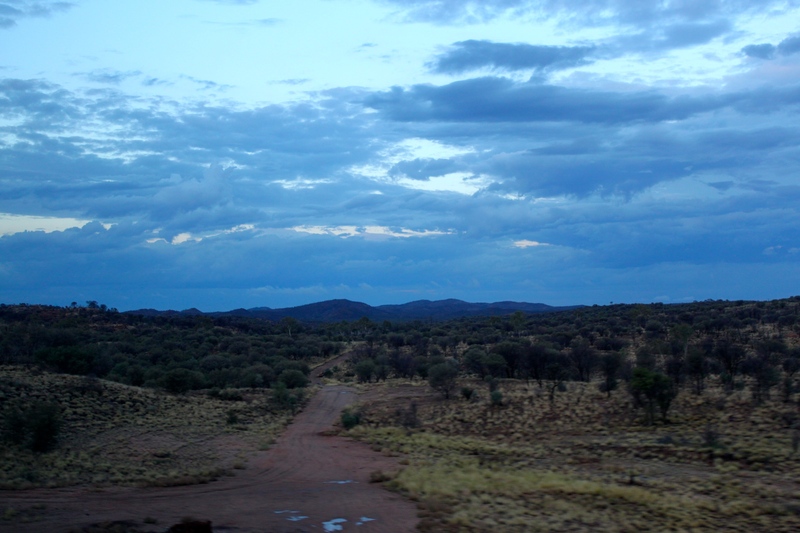 I boarded The Ghan again on Monday evening after a day of wandering around Alice Springs. As the train was leaving at 6pm there wasn’t much time before the sunset and I didn’t get to see much of the countryside between Alice and Katherine. I had dinner with some ‘grey nomads’ (I didn’t make this up, that’s what retirees travelling around Australia are referred to!) and then returned to my cabin. 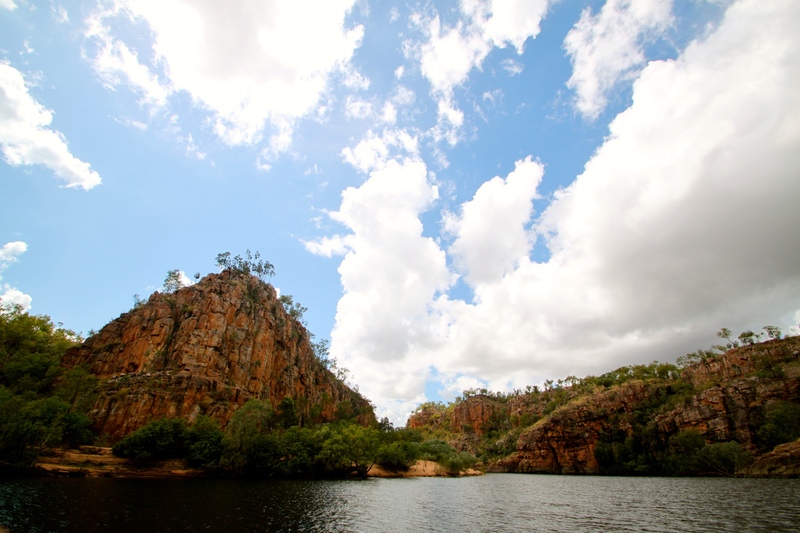 I kept the blinds open so I could look up at the stars and hopefully get a glimpse of the Devil’s Marbles – a scared site to the Aborigines who believe the huge rocks there are eggs from the Rainbow Serpent. The ‘marbles’ are big round balls of granite that have been eroded down over millions of years. I didn’t see them unfortunately but the stars were great. There was an early breakfast in the Queen Adelaide dining car before we rolled into Katherine at 9am. 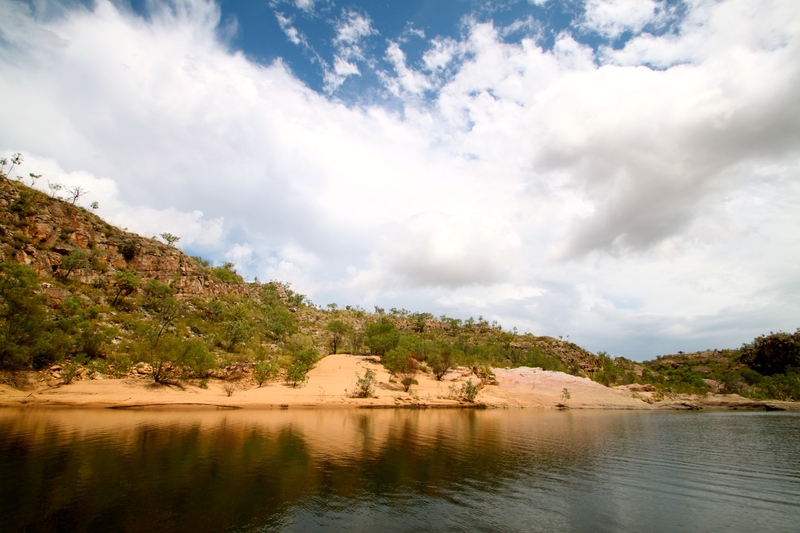 Included in the Gold Service are a few excursions, including a cruise down the Katherine Gorge. There hasn’t been enough rain there recently so, while you can normally sail down two of the thirteen gorges, only one was open. That meant an unusually large group were sailing just the one gorge, however they were extremely organised and we only queued for 5 minutes before boarding the open-sided boats. 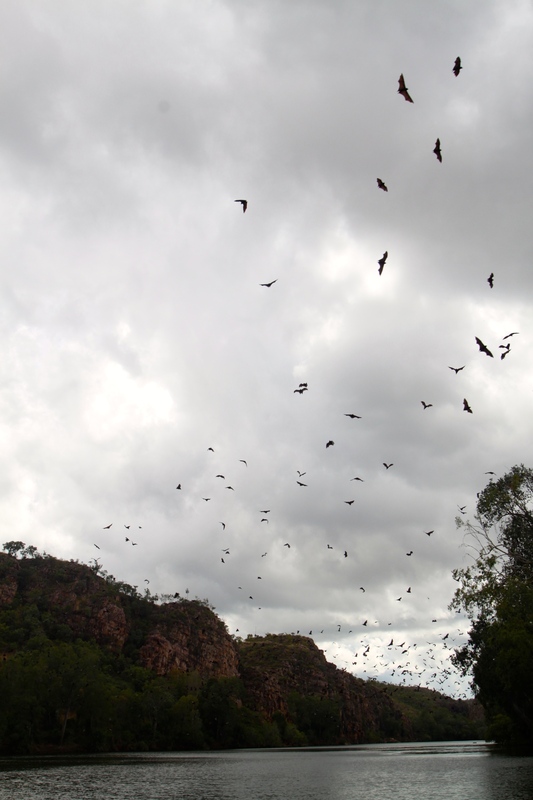 The first thing you notice there are the huge number of bats – there are literally hundreds just hanging from the trees by the riverside – making an absolute racket and defeating everywhere. 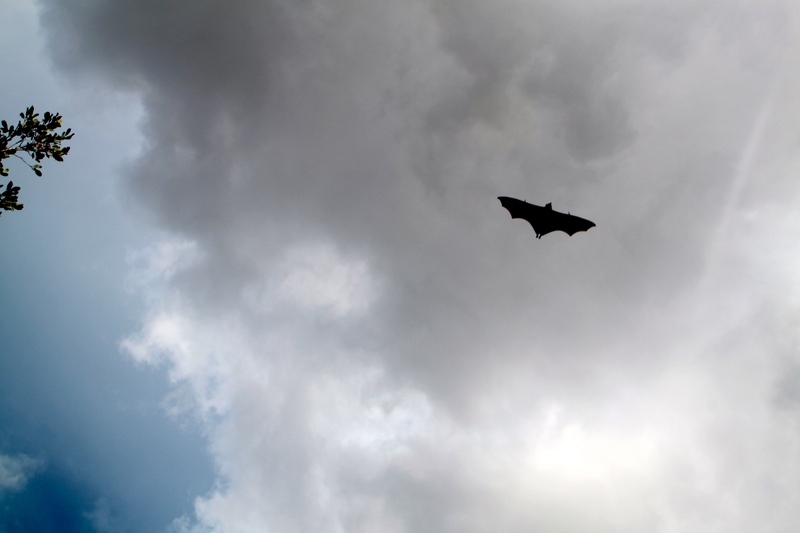 Our guide told us there were two types there; fruit bats (smaller and brown) and the big flying foxes that were black and more ‘batman’ like. 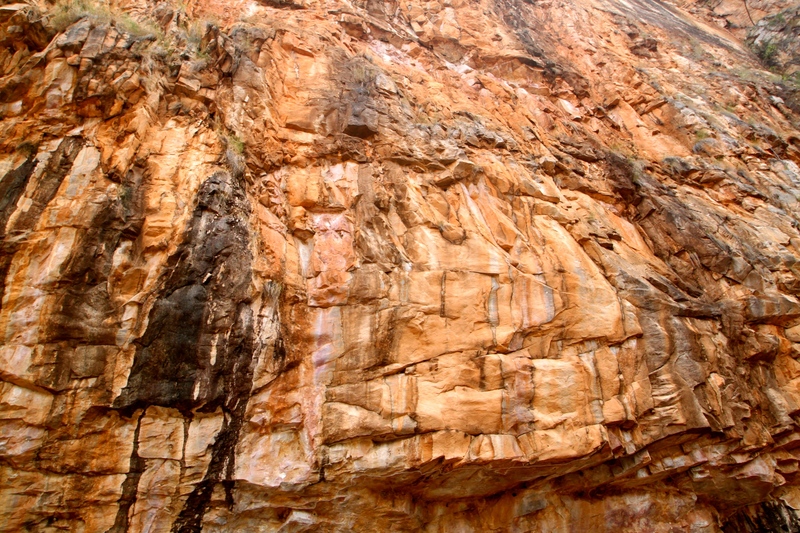 We cruised for about an hour, stopping for 20 minutes to walk up the bank to view some of the ancient rock art. We also sailed past some of the beaches that are a favourite nesting ground for the crocodiles. They lay their eggs much like turtles do, by burying them in the sand and just like Komodo dragons, are prone to eating their own babies. Nice! The gorges form naturally barriers to the sea, so for some of the year the saltwater crocodiles are trapped either in or out of the gorge. The rangers do several daily checks on the water and the banks before tourists are allowed to canoe and swim in the water – but I certainly wouldn’t want to be the first one in. Having said that though, unless you go near them or touch them, the guide said the crocs were unlikely to bite. Saltwater crocodiles have a different jaw to freshwater ones and they can’t actually open their mouths as wide. As if that puts your mind at rest! Our guide was excellent and he did a great job of getting everyone back on our boat. If you’ve seen the film Clockwise with John Cleese, you’ll know what I mean. The old dears were wandering all over the place! Back on the train, we departed Katherine at 1pm onwards towards Darwin for a 5.30pm arrival. The scenery is so different on this half of The Ghan track; it’s really green and looked quite British in parts – excluding the tropical trees and crocodiles of course. I got to my hotel quite late so unfortunately I didn’t get to see much of Darwin at all before flying to Cairns. 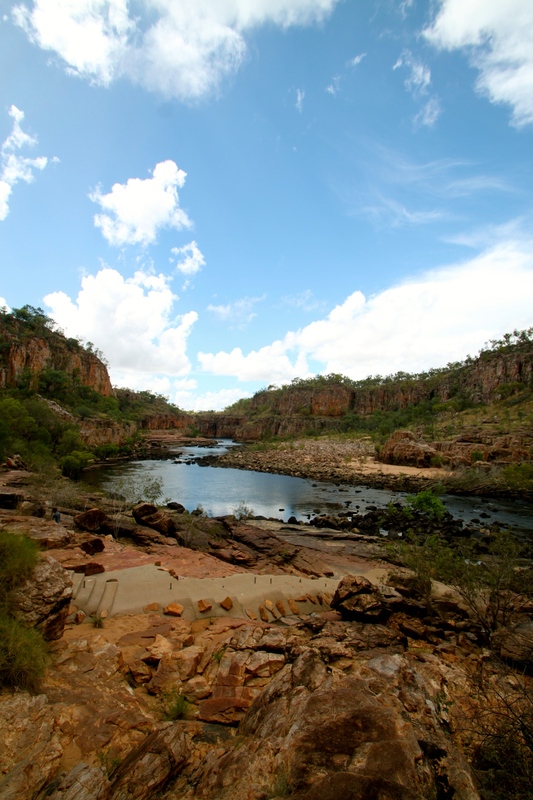 I would definitely come back here though, aside from the city, they have the Kakadu National Park nearby which sounds fantastic – huge crocodiles, jungle, rivers and wildlife. It’s on the list!